If you’ve been on our Twitter, Facebook, or Instagram, then you probably saw that there was A LOT going on today with Superhero Saturday at San Diego Comic Con. I have the low down with all of the big news, but we’ll start with the two panels in the title. A special thanks to Patricia Ogura for taking over our Instagram Feed for the day and who captured this amazing moment for us all. Not only did the trailer drop, but we got some pretty special casting news. We shared a tweet at the end of the season for an open casting call for transgender actors to play the role of Nia Nal. During the panel today, a special guest turned up. None other than Nicole Maines who has been cast in the role! 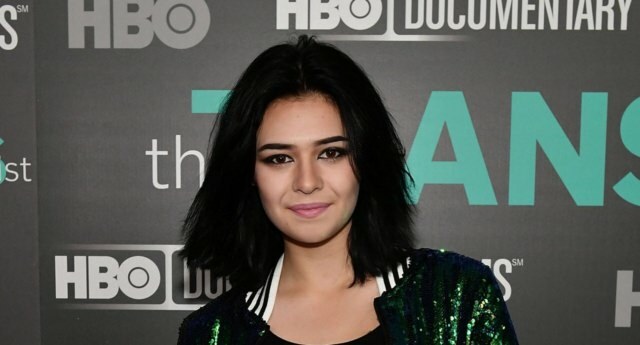 We cannot wait to see what you get up to as TV’s first Transgender Superhero as Dreamer! You can read the full release here from The Hollywood Reporter. Welcome to the Super Friends, Nicole! Casting news: Ramona Young joins the cast in the series regular role of Alaska Yu, a member of the Time Bureau. And Nate reconnects with his estranged father, played by Tom Wilson, aka BIFF TANNEN. Casting news: Chris Klein is cast as the new Big Bad as Cicada. Casting news: The Longbow Hunters will feature in Season 7. Holly Elissa is cast as Red Dart, Miranda Edwards as Silencer, and Michael Jonsson as Kodiak. Next, we’ll go on to the last from the DC batch from today for TV. The Lego Movie 2 also showed a short clip, but it is unreleased as it is yet to be finished. It was shared, however, that Chris Pratt will play a second character in the sequel. Read about it here.